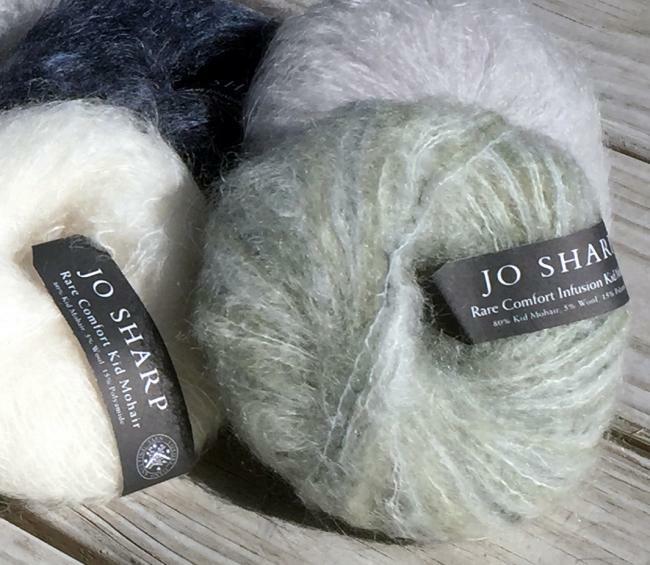 Stock up on Jo Sharp Rare Comfort Kid Mohair for just the right amount of fluff! Available in a wide range of colors, including subtly variegated/tonal shades. 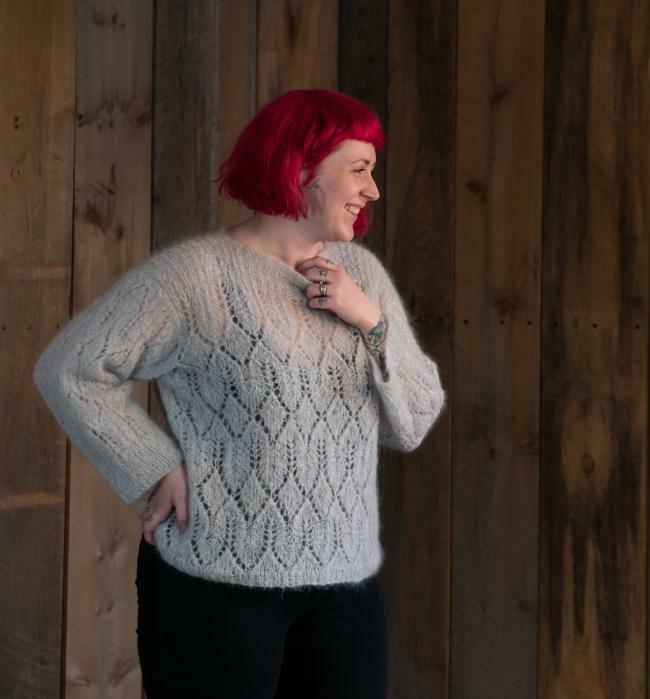 Check out our NEW Atmosphere Mohair Lace Sweater -free with purchase of yarn, just remember to add it to your cart!